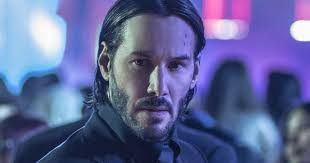 With two successful vengeance films behind them and Keanu ready to do battle with another slew of heavily armed baddies, John Wick 3 is deep into the development stages already. The last film used a wide open ending that left Wick's future in the balance, letting us know that a sequel was already in the plans. Considering the second movie doubled the grosses of the original, the studio knows they have a solid trilogy on their hands. Director Chad Stahelski says that the script is nearly completed and they're awaiting final confirmation of a shooting schedule. He recently stated that he'll be shocked if they're not in front of the camera by the end of the year or at the latest the beginning of 2018. Hopefully they can keep up the quality of the first two and close this thing out with a stylistic conclusion worthy of its predecessors. Stahelski will not be directing this time around as his schedule is full with other projects. Lionsgate/Summit is currently in the market for a new director.